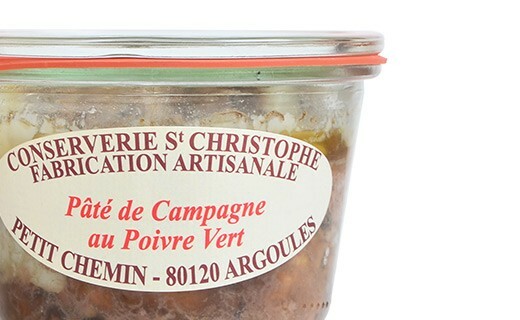 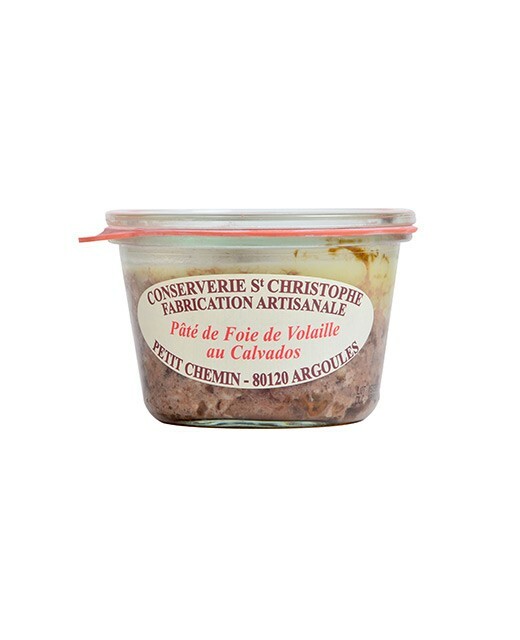 The canning factory Saint Christophe uses all of its artisanal expertise in order to provide you with high quality pâtés. 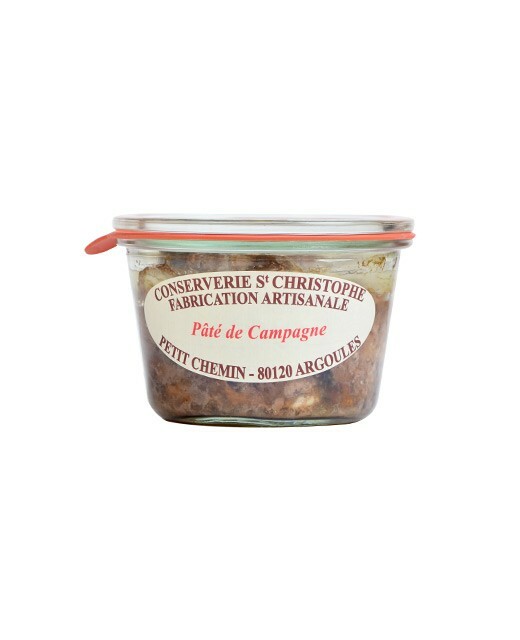 The classic countryside-style pork pâté is here livened up with a little bit of green pepper in order to lift its flavor. 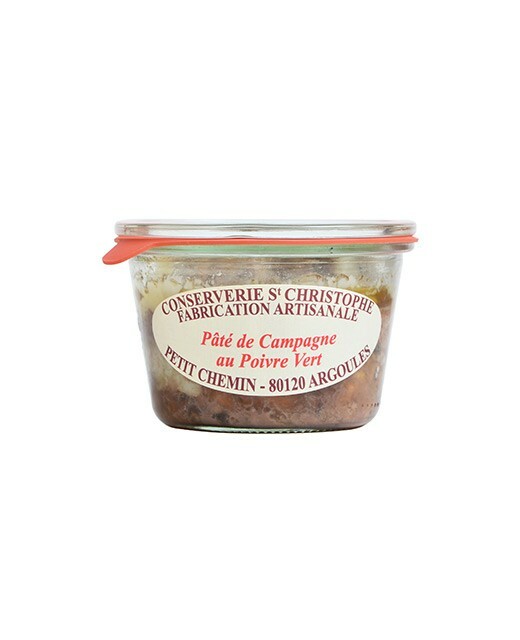 As an appetizer or during a cocktail buffet, this pâté will charm your taste buds. 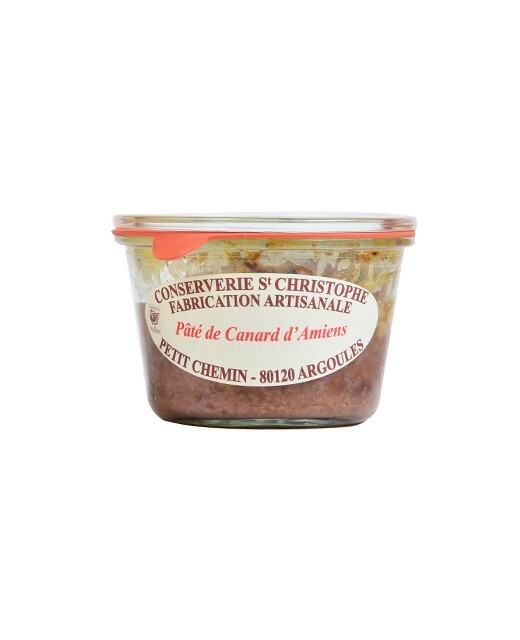 Pork, Green pepper 4%, Pork liver, onions, eggs, herbs and spices, Salt, Pepper.